An IU Center for Rural Engagement collaboration with the IU School of Social Work and Lawrence County community builds awareness and resources for residents and leaders. With an opioid addiction surge affecting the nation, Lawrence County Sheriff Mike Branham and his deputies respond to addiction and suicide emergencies daily. Branham knows that the health of the community has a direct impact on its ability to thrive in other ways. Branham believed his community held varying perspectives and information about issues of mental health and addiction, but he didn’t have the data he sought to address residents’ needs strategically. “Without data, you’re just another person with an opinion,” Branham said, quoting W. Edwards Deming. 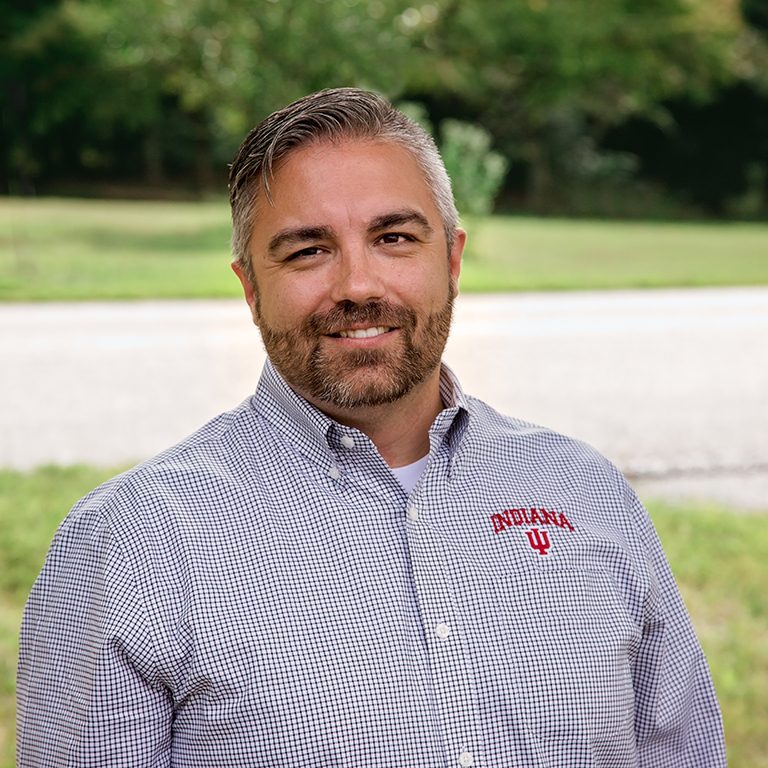 Lawrence County resident and IU School of Social Work professor John Keesler learned about Lawrence County’s interest in a project focused on mental health and addictions through the Center for Rural Engagement’s Sustaining Hoosier Communities initiative. The SHC program connects IU Bloomington faculty and their courses to community-identified projects to address opportunities and challenges in rural Indiana. Through this outreach, students gain experience in Indiana’s rural communities and promotes the connection of classroom content to real-life issues. Working with Lawrence County was an ideal partnership for the IU Master of Social Work program, which focuses on addiction and mental health. With input from Branham, local leaders, and health care providers, Keesler’s class created a survey to understand residents’ attitudes toward mental health and addiction. More than 1,300 Lawrence County residents completed the survey. As an ongoing initiative within the Center for Rural Engagement, Keesler and his students analyzed the results at the conclusion of the 2017-18 academic year and are creating a comprehensive community report. Keesler used survey data, which represents the voices of residents and their lived experiences, to guide his students as they developed an education series. The series is customized to inform and empower residents to directly and positively address addiction and mental health issues as well as provide practical skills for daily wellness. The eight-module series will launch in fall 2018 at the Downtown Depot in Bedford. While developing the survey, Keesler and his School of Social Work colleague Kristin Hamre teamed with students to also identify integrated treatment models that address addiction and mental health needs in rural communities. Branham had requested information to learn more about effective approaches, program administration roles, and funding models for integrated treatment. Keesler’s class continued this work in the spring. Branham plans to use the survey results to increase support for residents facing addiction and mental illness, while also informing the community about existing resources that are available and ready to help. “I hope the survey results will encourage local and state leaders, in the private and public sectors to invest in improving access to adequate, affordable treatment options for addiction and mental illness,” said Branham. The Center for Rural Engagement connects the broad resources of IU Bloomington and its region through collaborative initiatives. The goal of the center is to improve the lives of Hoosiers through its work with partners to discover and deploy scalable and flexible solutions to common challenges facing rural communities. The center will connect with communities to build upon their many opportunities and assets, such as the natural beauty of the region; their family-friendly culture; and their many economic resources.